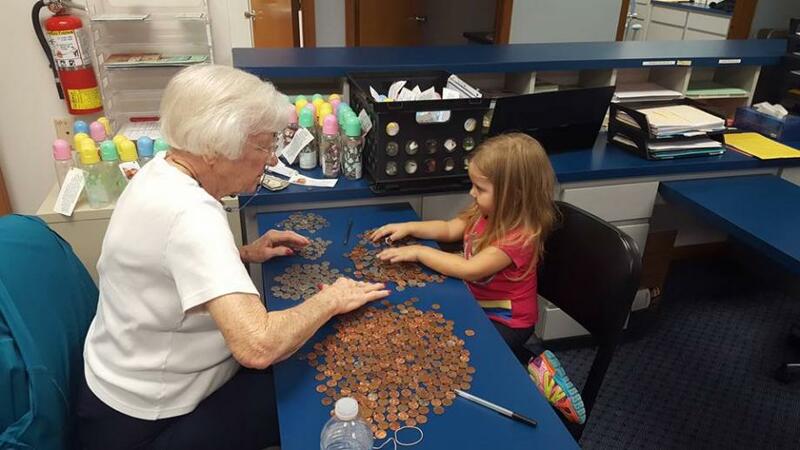 Volunteers of all ages can help us fulfill our mission. Here, our youngest and youngest at heart volunteers sort baby bottle change together. Judy and Molly are a great team!